'Burn' is the third solo album from the multi-talented Greek singer/song-writer John Jeff Touch who previously released 'First Touch' in 2007 and 'Warnings' in 2014; the latter was reviewed by Steven Reid in issue #63. Anyone familiar with those albums will know that Touch possesses quite the vocal range. The nine songs on 'Burn' continue to highlight his passionate and heartfelt, if at times raw, vocals and even more impressive song-writing abilities. For this release, Touch has assembled some of the finest musicians from the Greek Progressive Rock scene. The solid rhythm section is made up of Kostas Domenikiotis on bass and Stelios Sioulas on drums with Dimitris Koromilas on guitar. Touch also mixed and produced the album as well. Do not be fooled by the abundance of acoustic guitar, courtesy of Touch himself, as most of the songs on 'Burn' are quite heavy, beginning with 'Shine' and the title-track that are almost like Siamese twins. 'Shame' brings to mind Kip Winger's solo material, whilst the heavy acoustic strumming – which is prevalent throughout the album – opens 'Great Escape' and is reminiscent of Steven Wilson as is the excellent 'Don't Forget'. Sioulas contributes some neat percussion to 'Door Wide Open' with its melodic verses and raucous chorus. Touch puts his heart and soul into every song, albeit he's a tad aggressive in his vocal delivery. However, for the final three songs on the album, he reigns in the aforementioned aggression without ever compromising his expressiveness, starting with my personal favourite, the emotional 'Circles'; it features some beautiful piano and has Touch at his melodic best. The foreboding acoustic guitar and his vocal on 'Salvation' give it a Johnny Cash-like vibe before the album concludes with the semi-A Cappella of 'Time', a beautiful but sombre song reminiscent of the late, great Chris Cornell. 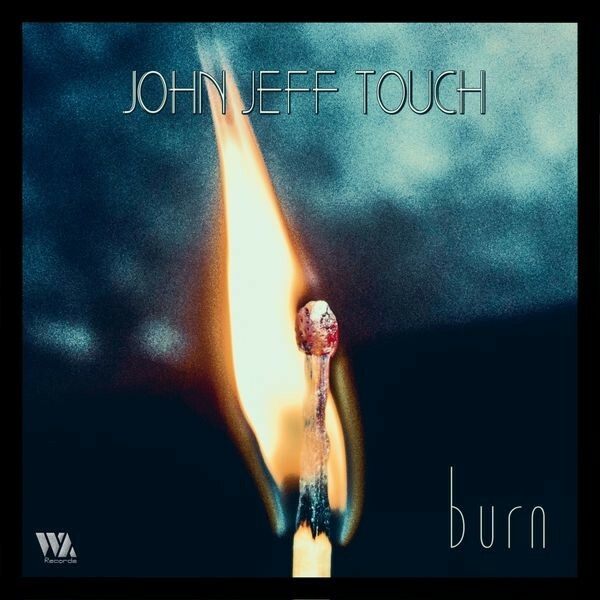 Fans of Kip Winger's solo work, Wilson and Cornell will find a lot to enjoy on 'Burn', although John Jeff Touch's vocal style is generally heavier and this might not suit the casual listener.